170th Anniversary of our National Flag. 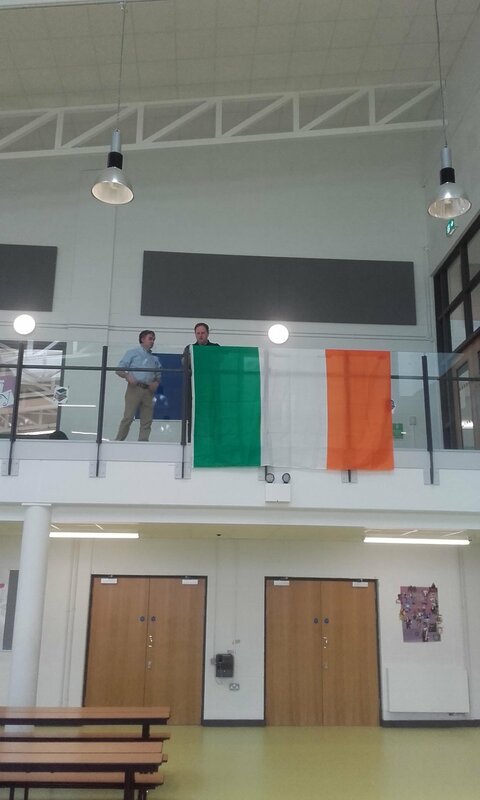 The History Department marked the 170th anniversary of the first public flying of our Tricolour. Mr. Thomas Francis Meagher, a Young Irelander raised the flag over the Mall in Co. Waterford on this day in 1848. 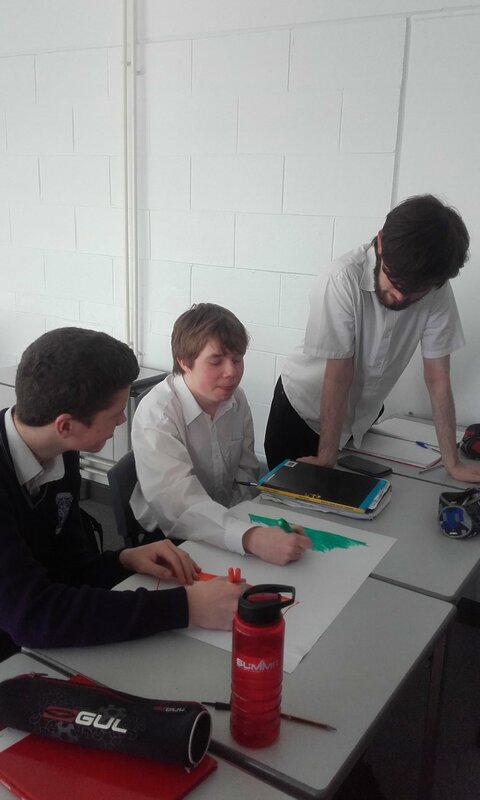 The white of the flag signifies peace between the Orange Unionist Tradition and the Green Nationalist Tradition. It would not be flown again until 1916. This symbolism still holds forth today as our country is a welcoming place for all cultures, traditions, those with religions and those with none. Thanks to Mr. PJ Fitzgerald, Mr. Colman O Driscoll, Ms. Eileen O Mahony and Ms. Averil Cooke for helping to organise today's celebration.